Sea and Air Shipper Insight provides the latest information and analysis for the ocean and airfreight markets, including airfreight rate benchmarks on 57 trade lanes. It is designed specifically for importers and exporters to keep them up to date with trends and issues affecting the two sectors and assist with their business decisions. Also included in this monthly report is the sought-after “Freight Operators’ Financial Stress Index”, based on the Z-score method of provider risk analysis. 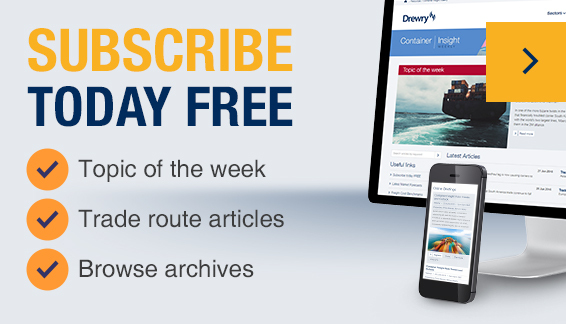 Each monthly issue provides vital data on supply, demand and freight rates for both ocean and air freight sectors, together with Drewry’s expert analysis to put it all into context.